Whether you are an amateur fisher who occasionally decides to angle in shallow waters with your buddies, or a seasoned professional, a fish finder is perhaps the most useful tool you can own. Fishfinders essentially give you an extra pair of eyes underwater by using sonar technology to transmit and receive sound waves underwater to provide you with a graphic representation of what is going on underwater. A recent advancement in this already brilliant piece of technology has been the introduction of the downscan imaging or DI. Instead of a graphic representation, downscan-imaging fish-finders actually produce a life-like image of the bottom. This article will help you get an idea of downscan-imaging fish finders, how they work, and what you should look for in a downscan-imaging fish finder. 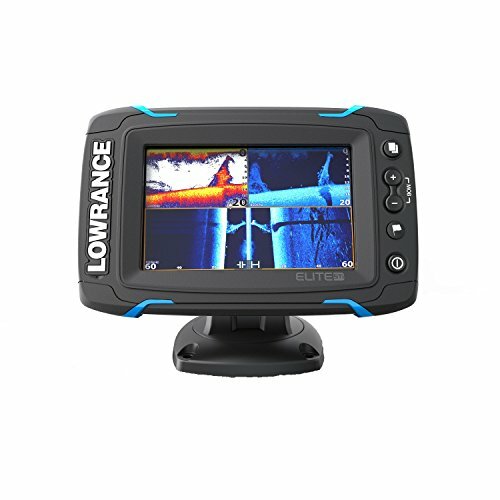 To start with, we have provided all the information you will need on some of the most popular downscan-imaging fish-finders below. Display Size: 4" , 5" and 7"
This is the latest in the line of Garmin’s successful echomap CHIRP Series. This comes in two series; CV series and SV series. With the help of CHIRP sonar, Compressed High-Intensity Radar Pulse, you will get crisp images of schools of fish underneath your boat. 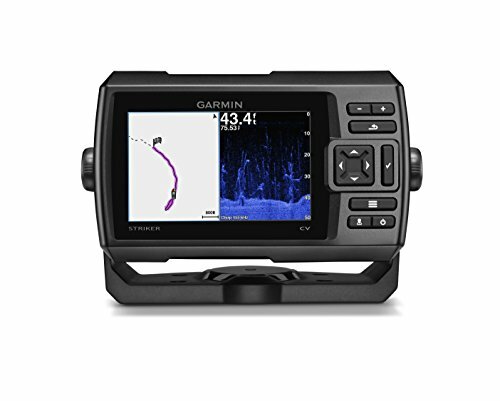 The CV series which we are talking about here offers a combination of built-in CHIRP sonar and CHIRP Clearvü, both of which produce high-quality images, almost picture-like images that clearly show objects, structures, and fish. The traditional sonar is equipped with a built-in 500W CHIRP sonar. Other interesting fishing aids include built-in U.S. Bluechart G2 charts, Canada and U.S. Lake HD maps. 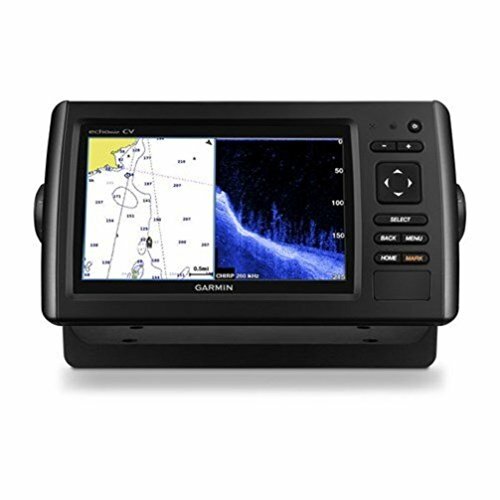 These built-in maps will make sure that no territory is unfamiliar for your Garmin Echomap Chirp 74CV. You also have access to Internal 5 Hz GPS updates. This means that your position will be updated five times per second, making fish finding easy, even in unfamiliar waters. On top of all that, you also get Garmin’s Quickdraw feature, which basically allows you to draw contours up to a precision of 1 foot while on the go. All these features are combined to ensure that you can make the most of your fishing experience under all kinds of circumstances. With the Lawrence HDS-7, you get an enhanced user experience, due to its 7-inch touchscreen color LCD, which provides an optimal alternative to the keypad. It is equipped with a very fast processor, which makes for a smooth touchscreen experience and shorter screen regeneration time. The easy scrolling and pinch-to-zoom feature of the screen make the interface much more intuitive than the HDS Generation 2. The HDS-7 also combines different sonar technologies. It comes with a built-in CHIRP Sonar, Structurescan HD and Downscan Imaging, which will, of course, require you to purchase a transducer separately. The Lawrence Trackback feature works like a GPS feature, in that it helps you locate yourself in the water. But instead of giving you a whole map, it simply allows for marking a way point while you tread through the waters, although it is also equipped with an internal GPS antenna. You can enjoy plug-and-play features with Motorguive Xi5 trolling motor and Lowrance AutoPilot, which increases the possibilities of your device. 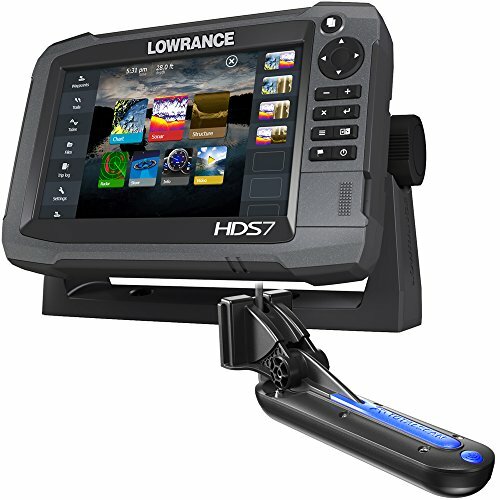 The Lawrence HDS-7 also comes with a built-in pre-loaded Insight USA charts for coastal and inland USA waters. 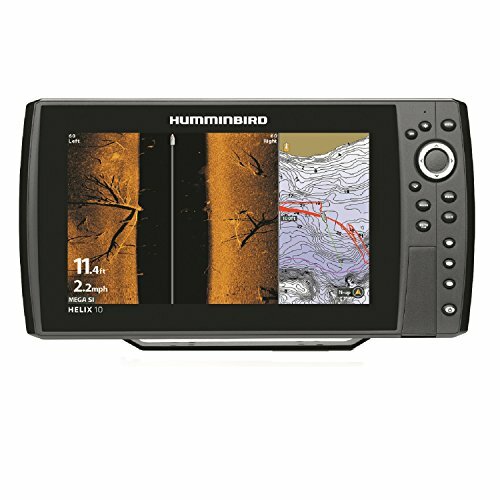 The Hummingbird 410210-1 fish finder is one of the best humminbird products you can find on the market today. It has a simple, yet effective series of features; all focused on maximizing your fishing experience. It has a 5-inch 256 color WVGA display, with a backlight and reflex interface which helps in producing highly detailed images. It comes with a CHIRP Dual Beam plus Sonar, with 4000W peak-to-peak power as well as a unique switchfire feature, which makes it more usable by giving you control of what information you the screen to display. Instead of having to screen through all the data that the sonar receives, you can program it to show the data that is relevant to you. The smartstrike feature adds another layer of efficiency to the product by making your device show only the patches of water that match the particular set of conditions that you enter. 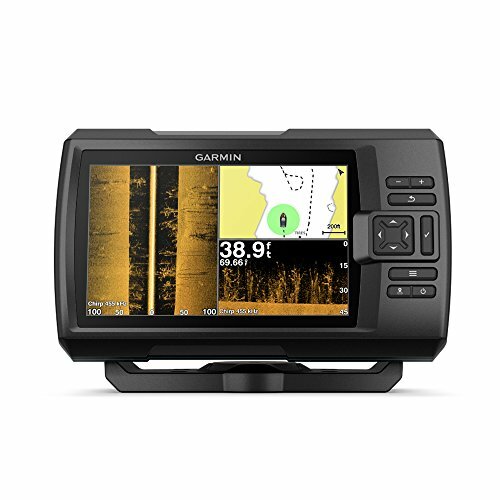 It comes with an internal GPS and built-in detailed maps of inland and coastal US waters that are keeping the precise requirement of fishing in mind. The Autochart Live feature also allows you to add further details of your own to these maps, which you can store on a built-in memory space or on a micro SD. Think of the Humminbird Helix 10 as an enhanced version of the Helix 5. It features an even larger and clearer 10-inch LCD with Reflex display with LED backlight. 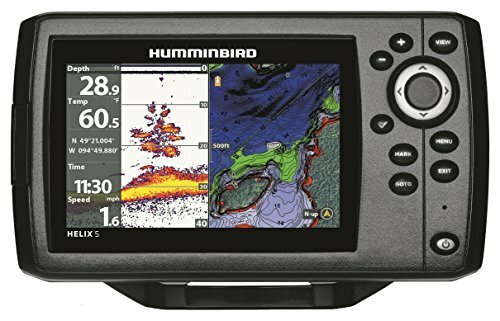 It not only comes with a Humminbird MEGA down imaging but also a MEGA side imaging technology in the Helix 10 Si version, however since the side-imaging units require exposed transducers, it does not have one built-in. Like the Helix 5, the Autochart Live feature is incredibly useful here as well. You have the ability to map out your own details on to the maps like depth, vegetation and bottom firmness. The Helix 10 steps up the connectivity game by introducing wireless connectivity via Bluetooth. With the Helix 10, you can not only store your data on the built-in micro SD slot, but also transfer it to other devices in case you do not have access to a portable data storage device. Additionally, it possesses Ethernet networking capabilities. Built-in cartographic data compiled in conjunction with LakeMaster and the NOAA will also grant you access to an extensive repository of maps throughout the USA, so that no territory feels unfamiliar. The dragonfly 7 pro is perhaps at the cutting edge of the fish-finding sonar technology. 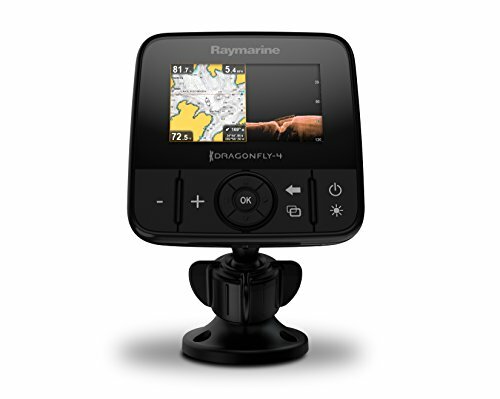 Available in 4-inch, 5-inch and 7-inch optical bonding LCD displays that are weatherproof, the Dragonfly Pro is equipped with a dual-channel display. This means that you can view the high quality down imaging, powered by Raymarine’s Down Vision technology, as well as conventional sonar imagery, made possible by Raymarine’s wide spectrum CHIRP technology, at the same time. Pro models also come equipped with a Transom Mount transducer that allows for performance at depths of up to 600 feet. But it does not end there. In addition to the built-in GPS and charts powered by navioncs+, which covers all of USA and Canada, you are able to connect your device to your phone or tablet through its built-in wi-fi. Not only can you stream the live feed from your Dragonfly 7 on your smart device, but with the help of the Wi-Fish app, you can use your smart device as an augmented reality navigation tool, that will provide you with real-time information. As we have already touched upon earlier, down imaging is a step ahead of the traditional sonar technology. Now we shall delve into Down-Scan Imaging further and gain a slightly deeper understanding of how it works, what factors affect its performance, and most importantly, what you should be mindful of, when purchasing a down imaging fish finder. We talked about how Down Imaging is more advanced because it produces a life-like “image” of the bottom of the water as opposed to conventional sonar imaging. Even though that statement is correct intuitively, it is important to remember that down imaging is also a graphic interpretation being represented on a screen after selective perception of data, and not an actual picture. The reason to be mindful of this is because it gives us an idea of how these factors will affect its performance. Down imaging basically uses high-frequency sonar that is transmitted through the water with the help of a transducer. Once the reflected waves are received by your device, it selectively displays the data in graphics on the display. How it differs from conventional sonar is because of the highly focused nature the down imaging, each small interval of horizontal length underneath the boat is represented as a vertical line going from the bottom up to the surface of the water. These fines lines of imaging, when displayed in rapid and seamless succession produce a highly accurate and detailed image of the bottom, allowing the viewer to be able to differentiate between structures, vegetation, and types of fish, and even the firmness of the ground. Down imaging is still not as common as traditional sonar imaging. But just because it is new does not mean that you must have it, some users prefer to keep the equipment that they are already comfortable working with. It can also come down to the kind of waters you are in and how serious you are about it. Down imaging and side imaging greatly enhance your fishing experience by showing the kind of graphics that are easier to grasp by the human mind. You may or may not think of yourself as a serious enough user, to want to buy a new fish finder for yourself. At the same time, as a piece of technology, it comes with its own limitations that will be addressed later in this article. There is also the aspect of cost. The user needs to evaluate where they stand with this option and whether they want to invest in this cutting-edge technology. We know that down imaging technology achieves its clarity by stacking thin vertical lines together to form a clearer image. However, that is not enough. If you were placed on a boat and handed a down imaging fishfinder, that information would not be enough to help you. We must move on to how your fish finder works. We know how well it shows the underwater environment, but it is crucial to understand exactly what part of the underwater environment it is showing. 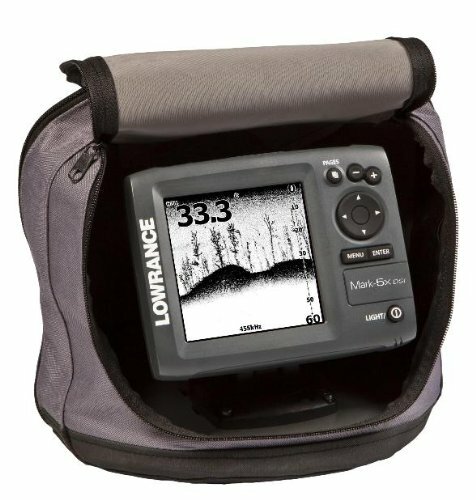 The first thing to remember is that a down image display will move from right to left on the screen of your fish finder. In order to understand where exactly the fish shown on the screen are, it will help to know that you must imagine that everything that you see on your screen is behind and below your boat at any given moment in time, and that whatever you see is being shown from the right side of the boat, although sometimes it can be showing things from the left side of the boat. Beyond that it helps to know how certain things generally appear on the display. Fish will appear as bright white dots, while weeds will show up as lines rising from the bed. This can give you a better idea of where to place the lure. The greatest benefit of down imaging is that it actually makes things easier for you. Traditional sonar requires experience and practice for you to know thing like fish appear as arches, or that darker colors mean a firmer bottom of the water. More importantly, you have to develop and rely on your judgment when moving in busy environments, in order to know where the fish are located. On the other hand, down imaging significantly minimizes the need to develop that judgment by simply providing a much clearer representation of the environment. Down imaging can save you lots of time by efficiently pointing out the location of your desired catch. It can help make the practice of fishing more accessible to those who want to learn and enjoy it, by easing the barrier of required expertise. Overall, down imaging is just a smarter way to make the most of your fishing experience, by being able to catch more with less energy in less time. Despite all the benefits of the down imaging, it has some drawbacks. One of the limitations of down imaging is depth. Because the technology is relatively new and not as well developed as its predecessor, it still struggles to perform in the deep water. Even though some products seem to have broken the barrier, it is generally understood that it is not a great idea to use down imaging in waters deeper than 300 feet. The technology depends entirely on the sonar being able to hit the object at the bottom and bounce back. If the objects are too far away to be hit, nothing will bounce back, and therefore, your screen will remain blank because there will be no data to interpret. You will also have to move at the required speed for optimal results from down imaging. That may limit mobility to an extent. For astonishing images of shallow waters, go for downscan imaging, but for deep waters, you will need to bring out the old sonar. That is why most leading fish finders come with a combination of both technologies. Power is one of the integral features of a fish finder. It affects the clarity of the image and performance of the fish finder in various depths. Power by definition is work done per second. Using a finder with higher watts means it will work more in a given amount of time. Hence, more information will be fed into the device every second, and images will be clearer. Similarly, with higher watts, you will get a better performance in deeper waters. The same principle applies. It sounds insignificant, but when you are out on turbulent waters and have to make immediate decisions, you will not have time to sit down and figure out what each button does. It is important to find a fish finder that is easy to use and helps you solve problems out on the water, instead of becoming one. Many fish finders come with a touchscreen display. It is generally better to opt for a touchscreen simply because it is more intuitive, but bear in mind that it may increase the cost. When it comes to display, you will need to keep three things in mind; display size, image quality and whether it is colored. It goes without saying that it is better to have a larger display screen. The screen does not just display the underwater environment but also shows other readings such as depth and pressure. If you are using a split screen display, there will be even more information. Smaller screens work just fine as well, but a larger screen will make the image a lot clearer for you. However, larger displays cost more, and if you are running on a tighter budget you might have to find a balance. The image quality will also be determined by the pixel resolution of your screen. The higher the screen resolution, the clearer the image will be. A clearer image means easily readable information. The bare minimum pixel resolution is 240 x 160. Anything above that ratio should work fine. The last thing you may want to think about is whether the display is colored or black and white. Colored displays tend to cost more but are much easier to view echo data on a colored display. With a gray scale display, you only have shades of gray to work with, but the benefit is that it is cheaper. The transducer is perhaps the most important part of the system. The transducer is what emits the sonar signals that bounce off objects and then gets processed into images. Without a transducer, your fish finder will be useless. It is important to pair your down imaging fishfinder with the right transducer. For down imaging fish finders, transducers generally come in dual frequencies. It is important to remember that despite some models claiming to have down imaging facilities, they do not come in with the transducer. You may have to pay extra to have the transducer included in the package, and make sure that the device you are purchasing has the necessary down imaging sonar capabilities. Transducer power outputs are measured in either peak-to-peak watts or watts RMS. While the idea remains the same here, as it is with fish finders in general, the more the better, you will need to know how to interpret these units for the sake of comparison. Just remember that peak-to-peak Watts can be converted to Watts RMS by dividing them by 8. Be sure to also bear in mind the cone angle of your transducer. Cone angle determines how wide the emitted beam will be. The wider the angle, the wider the beam, hence more chances of locating fish. The downside of a large cone angle is that it compromises on depth. So, for deeper waters you will need a narrower cone angle. GPS is great, however the question is, should you go for a device with a GPS combo, or carry a separate GPS locator on hand. The answer to that is resoundingly in favor of going for a GPS combo. That reason is simple, because with a separate GPS device, wayfinding can be done perfectly, but this device does not know exactly why you are using the GPS. On the other hand, when your fish finder has a GPS combo, the GPS features and the fish finding features will be integrated, and the GPS will not only help in wayfinding, but work in such a way that it facilitates fish finding. In most GPS combo devices these days you not only get access to maps but can add your own layer of information to them. Therefore, it is always a better idea to go for a GPS combo. You may want to consider going for a device that has an integrated sidescan technology as well. The reason is that at the end of the day, the downscan works only in two dimensions. Thus,in order to get a three-dimensional perspective of the environment, you will have to move in the third dimension manually. The SideScan will simply give you a three-dimensional perspective which will be integrated with the down image, making it considerably easier for you to pinpoint areas where you may be able to catch something. Downscan imaging is definitely one of those innovations that are bound to make the lives of many enthusiast fishers better. Even though this technology is still developing, its benefits are undeniable. It is exciting to think about where it will take us in the upcoming years. Finding the right fish finder for yourself means finding your own personal balance between what you want to achieve, what you want from your device, and how much you are willing to invest. Hopefully, through this guide, that balance will be easier to reach.